Havard University has issued a press release where Christopher F. Chabris, author of a yet unpublished paper on the matter, ponders the elusiveness of genes that could define intelligence. Twin studies have suggested that there is at least some truth to an association of intelligence (measured by IQ) with inherited genes, however now it seems clear that no individual gene is likely responsible of any notable influence on expressed intelligence. Chabris ponders that the genetic influence is probably the work of many genes acting collectively and not any single one of them, and also of the interactions of genes and environment. What our results show is that the way researchers have been looking for genes that may be related to intelligence — the candidate gene method — is fairly likely to result in false positives, so other methods should be used. Michael L. Deason et al., Interdisciplinary approach to the demography of Jamaica. BMC Evolutionary Biology 2012. Open access. I must certainly commend the historical introduction, which is not just comprehensive but also easy to follow and understand and well integrated with the information provided by the mitochondrial DNA findings. While there are a handful of lineages rooted in Native America or North of the Sahara (but not European), the overwhelming majority of the more than 400 Jamaican matrilineages studied in their HVS-I region have their roots in Africa. The most informative findings are however those about the regional origins within Africa of the ancestors of modern Jamaicans. The Gold Coast and Bight of Benin regions (between Assini and the Niger Delta per fig. 1) are the main sources of Jamaican ancestry. Other West African regions (Sierra Leone, Bight of Biafra and West-Central Africa) were secondary sources only, while South and East Africa is almost not represented. This last appears to have surprised the authors, who expected more impact of the late slave trade based largely on the Indian Ocean coasts, similarly they seem a bit perplex by the relatively low influence of the Bight of Biafra, another major late source of African slaves. 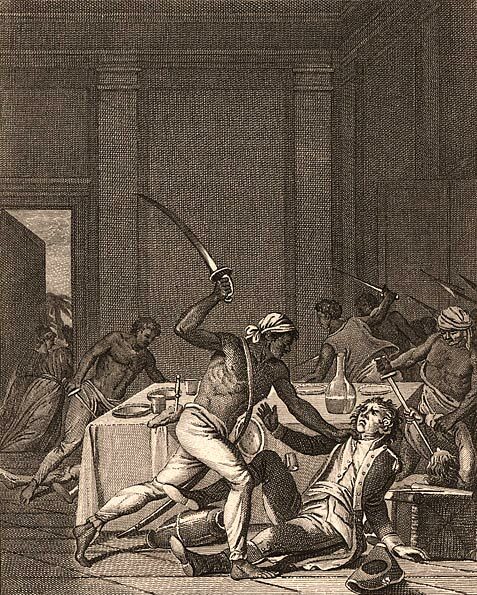 They argue that greater traveled distances may have hurt the chances of survival of people being transported from farther away (a documented fact) and that creole slaves, those born in the Caribbean, had much better chances of survival and even some chances of upward mobility. See also: African ancestry of the Noir Marron of the Guianas, a previous example of the same approach cited in this paper. In that case however the bulk of the ancestry was from the Biafra area. According to the new paper, this diversity was lower than modern day Iceland, however it had been larger before 48,000 years ago. Love Dalén et al., Partial genetic turnover in neandertals: continuity in the east and population replacement in the west. MBE 2012. Pay per view. Remarkably little is known about the population-level processes leading up to the extinction of the neandertal. To examine this, we use mtDNA sequences from 13 neandertal individuals, including a novel sequence from northern Spain, to examine neandertal demographic history. Our analyses indicate that recent western European neandertals (<48 kyr) constitute a tightly defined group with low mitochondrial genetic variation in comparison to both eastern and older (>48 kyr) European neandertals. Using control region sequences, Bayesian demographic simulations provide higher support for a model of population fragmentation followed by separate demographic trajectories in subpopulations over a null model of a single stable population. The most parsimonious explanation for these results is that of a population turnover in western Europe during early Marine Isotope Stage 3, predating the arrival of anatomically modern humans in the region. I do not have access to the paper so I remain in doubt about the details, however I wonder if this genetic bottleneck or founder effect may be related to the formation of Chatelperronian culture (oldest dates (ref: direct download): Grotte du Renne since c. 52 Ka calBP, Roc de Combe since c. 49 Ka calBP). It’d be interesting to know how these Western Neanderthal individuals correlate with the cultural mosaic of the MP-UP transition period c. 50-35 Ka BP. Even if five years old, I have just stumbled (at Aggsbach’s Paleolithic Blog) on this very nice and extensive paper on the Gravettian of Central Europe, and it seems to me a must-read for anyone with some interest in Upper Paleolithic Europe or in general in the origins of Europeans. Jiří A. Svoboda, The Gravettian on the Middle Danube. Paleo 2007. Freely accessible (in English and French). I’d say that the first sections are the most interesting ones, notably for the non-specialist reader. In them the author ponders the origin of Gravettian, concluding that it cannot be derived from early Upper Paleolithic cultures like Bohunician or Szeletian and that it must be instead an intrusive culture from West Asia (links to the older Ahmarian culture of the Levant). The Kozarnikian group of Bulgaria’s Kozarniki cave may signal the migration through the Balcans. Once in Central Europe, the Early Gravettian or Pavlovian indicates discontinuity again by occupying different sites to those used by their predecessors, and also with different settlement tactics (large open air axial settlements in low altitudes and near rivers). Another difference is that burial then became a common feature, allowing us to find their remains much more easily (the famous “Crô-Magnon” type individuals). The time-frame for this Pavlovian facies of Moravia and nearby areas of Austria and Poland is mostly 27-25 Ka BP (uncalibrated C14), with older dates only in Willendorf (Austria). A contemporary non-Pavlovian Early Gravettian site is Bodrogkeresztúr-Henye in East Hungary (c. 29-26 Ka BP). 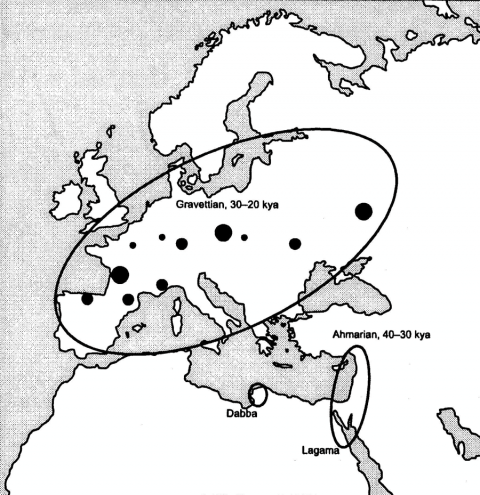 The Early Gravettian is followed an Upper Gravettian of Central-East European scope (often described as Eastern Gravettian, as it extends into Eastern Europe). The author calls it Willendorfian-Kostenkian. Finally an Epigravettian exists after c. 20 Ka BP, however Svoboda considers that this is a misnomer and more proper for the Mediterranean variants, which are more congruent with classical Gravettian typology, and proposes the name of Kasovian (on an Ukrainian site with a good stratigraphy for this period). This Kasovian would be in fact an hybrid of Gravettian and Aurignacian influences and begs for a comparison with the Badegoulian culture of Western Europe, sometimes considered the precursor of Magdalenian. The latter sections deal with landscape and burials. Years ago it was claimed (Aitken & Graves 2002, ppv) that the human Y-chromosome was in rapid decay and would vanish in some five million years. Today I read at BBC and Nature (article) that this won’t happen after all, being in fact quite stable. 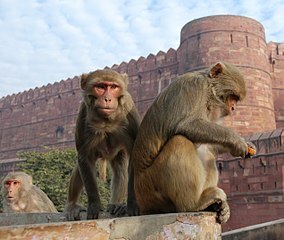 Jennifer F. Hughes et al., Strict evolutionary conservation followed rapid gene loss on human and rhesus Y chromosomes. Nature 2012. Pay per view. The main finding seems to be that the comparison with chimpanzee Y chromosome alone was misleading and that further comparison in the simian tree (rhesus macaque) actually found Y chromosomes very similar to those of our species. The macaque Y contained just one gene that humans have lost, and that gene resides on a particularly unstable portion of the Y. The human Y has grown much longer than the macaque’s, but the genes were mostly the same. Determining social relationships between populations in the past can be difficult. Trade can be inferred from evidence such as pottery with foreign designs, or non-local foods. Warfare can be determined from the presence of mass graves or cemeteries of adult males displaying trauma, or weaponry showing signs of frequent use. However, trauma is not always a sign of conflict with external populations. It can also reflect the normal struggles of daily life or even interpersonal violence within the community. Skeletal collections with trauma found from the Neolithic period in Anatolia suggest that injury was caused by daily activities and lifestyle, rather than systematic violence. However, shortly after this period there is an increase in trauma associated with violence that may suggest an increase in stress within and between populations in this area. In order to examine this conclusion, a new article by Erdal (2012) looked at the skeletal remains of a potential massacre site from the Early Bronze Age in Turkey. … full story at Past Horizons. 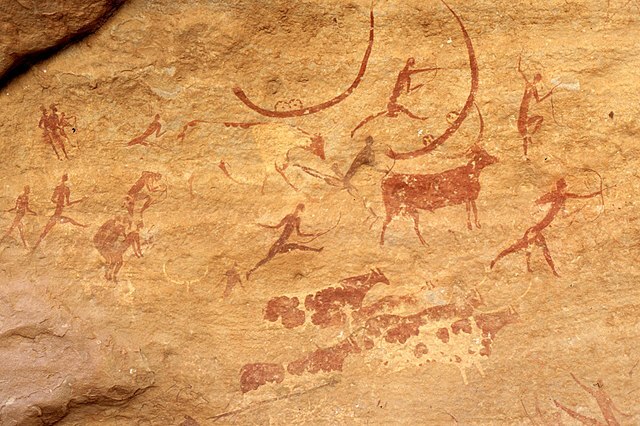 Tassili-n-Ajjer, the famous rock art site of the Central Sahara has been dated to 9-10 millennia ago or older, using OSL techniques. Note to readers: I am going to attempt to at least limit posts that deal with too many unrelated issues. So expect more of these shorter snippets. I hope is best for all.